First we saw virtual reality on roller coasters. Now it’s time for virtual haunted houses. Here’s the strange part: it’s happening at Universal Orlando as part of Halloween Horror Nights, a place where you can experience actual haunted houses. 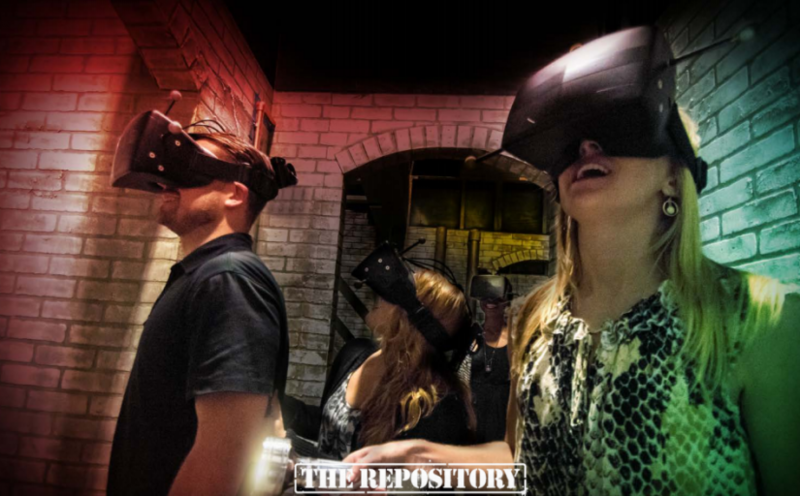 If that doesn’t sound crazy enough, this new experience called The Repository will cost you $50 per person, on top of your Halloween Horror Nights ticket. Despite the price tag, The Repository actually sounds pretty cool. Participants join a team of investigators, enter a centuries-old secret warehouse where mysterious artifacts have been collected and stored for hundreds of years. Advanced supernatural and paranormal devices are being tested using state-of-the-art technologies to determine the power these relics hold. You make your way through multiple rooms and find yourself transported to various worlds in this personalized, mind-bending experience. 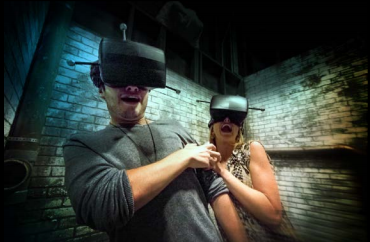 The Repository takes you into a terrifying, first-of-its-kind realm of psychological horror – an experimental journey that’s a disturbing combination of fear and virtual reality. You’ll explore truly unnerving environments, encounter bizarre objects and interact with unforgettably haunting live actors. This experience is available by reservation only on nights where Halloween Horror Nights run in Orlando from 5 p.m. to 1 a.m. Groups of four are encouraged to sign up together, otherwise you may be paired with strangers. Basically it sounds like a combination of virtual reality, haunted house and immersive theater. Which could be groundbreaking. Would you pay $50 to experience this? This entry was posted in Haunts, Universal and tagged Halloween Horror Nights, The Repository, Universal Orlando, Virtual Reality. Bookmark the permalink. Trackbacks are closed, but you can post a comment.